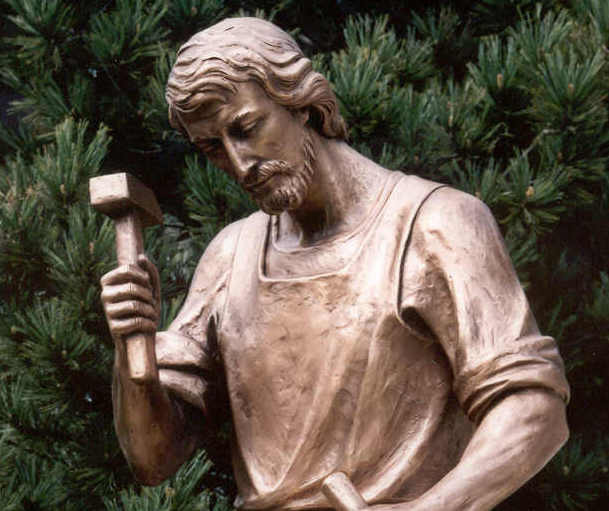 Yes, beloved workers; the Pope and the Church can not escape the divine mission of guiding, protecting and loving above all the suffering, the dearer, the more in need of defense and help, be they workers or other children of the people,” “In order for this meaning to be present … we are actually establishing the liturgical feast of St. Giuseppe craftsman, assigning to it precisely the day 1 May. 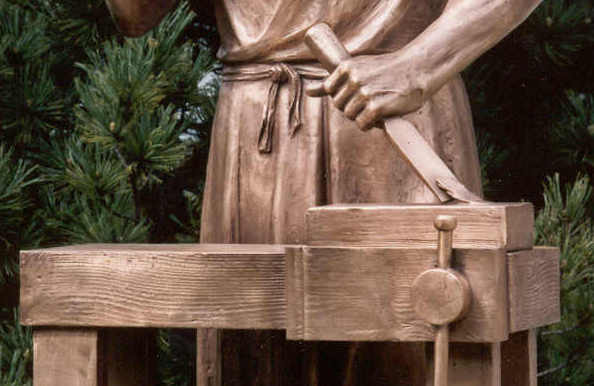 … We are sure that yes, because the humble craftsman of Nazareth not only impersonates the dignity of the arm worker with God and the Holy Church, but it is also always the provident guardian of you and your families. 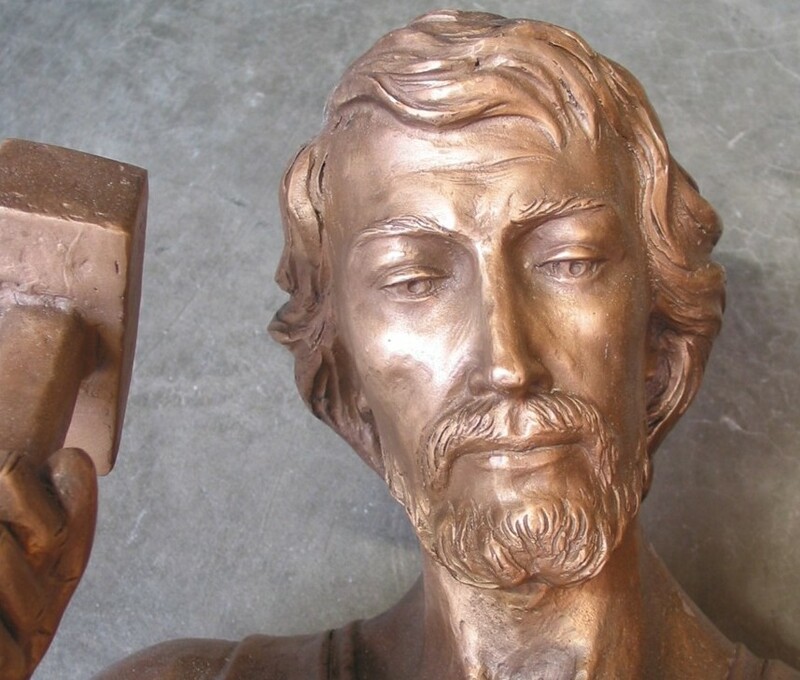 The bronze Joseph statue pictured here is available exclusively through Mazzolini Artcraft. It stands a little more than five feet tall and weighs 400-500 pounds. 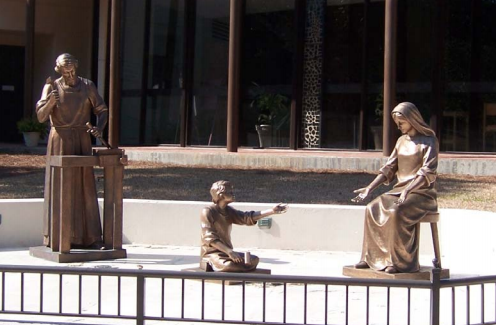 Holy Family Church in Hilton Head, S.C., installed one of these statues as part of a shrine of the Holy Family. For more information about this or any other statue, contact John Mazzolini at 888-437-4499 or [email protected]iartcraft.com.